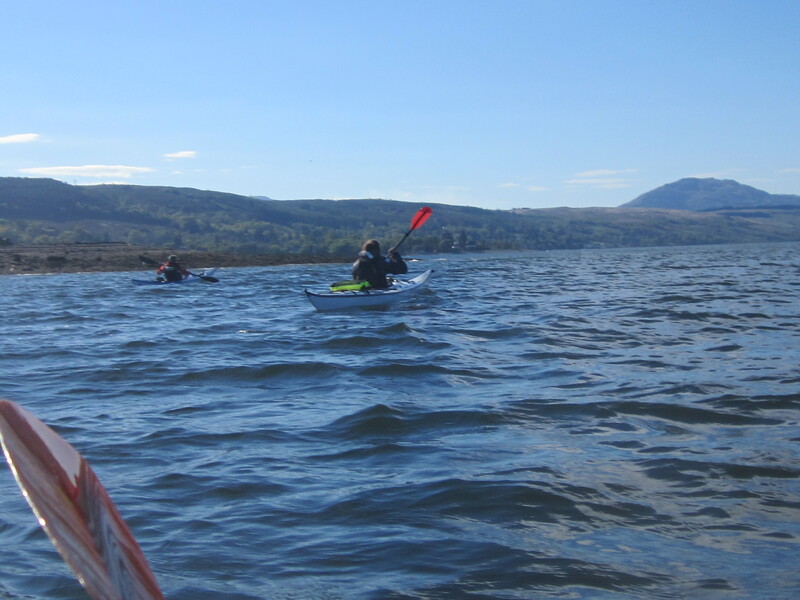 Report: At the end of the sea kayak expedition course paddlers need to demonstrate that they have sufficient strength and skills to take part in a club trip rated B (or C). 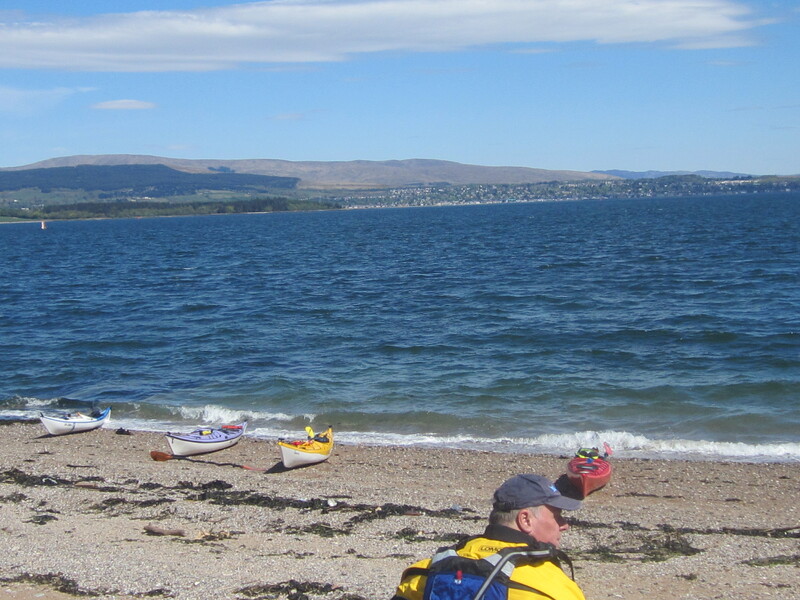 Typically a non-stop trip from Helensburgh to Greenock and back is the target. The dominant feature this time was the strong wind, which was just at or above the level for extended open crossings, normally set at F3/4. 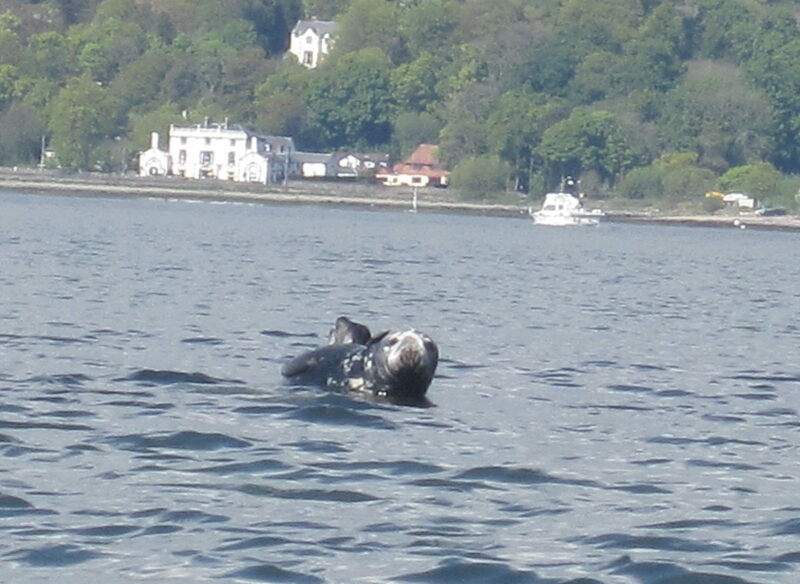 The return from Kilcreggan into the face of it was an ideal test of strength and stamina. 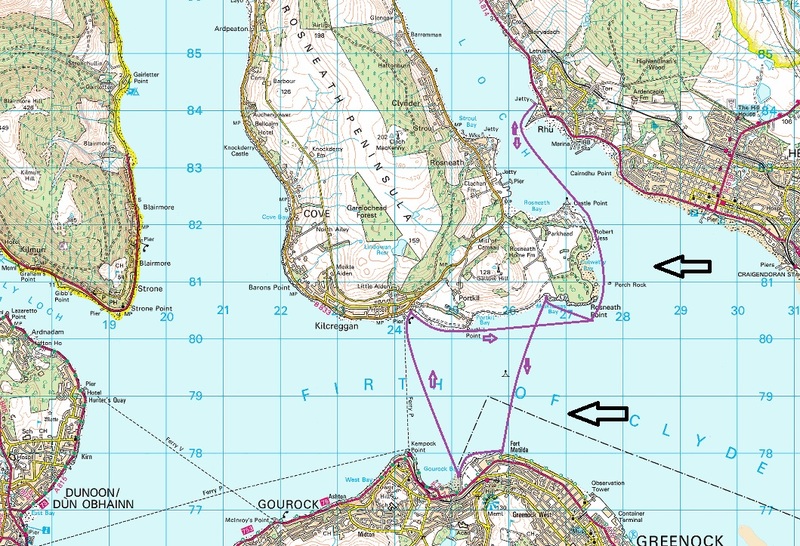 From Rhu we headed into the wind, Rosneath Point being quite choppy and unpleasant. The first respite was a small sandy beach just around the point in Meikleross Bay. After 30 minutes in the shelter and the sun the crossing to Gourock seemed less problematic. And so it proved. 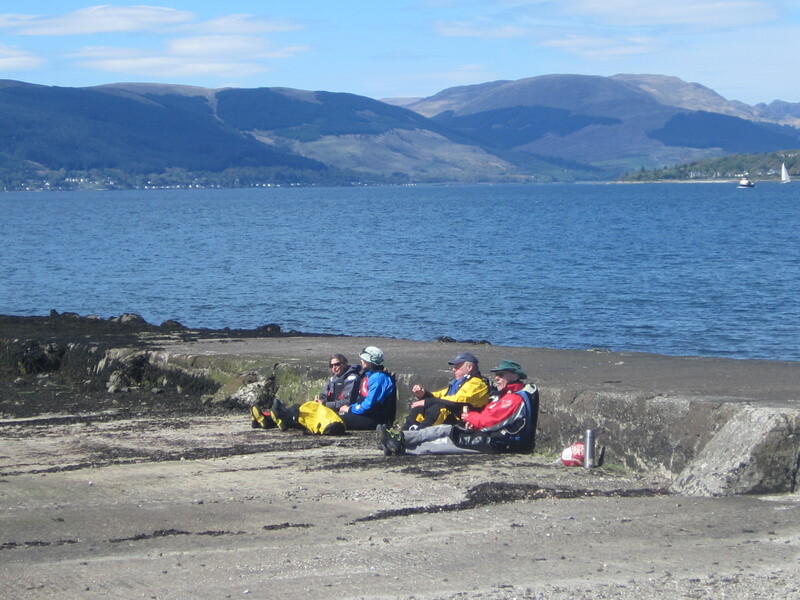 We landed at the beach at Royal West Boat Club and enjoyed another 20 minutes in the sun. We then pushed on (or rather blown on) to Boundary Park for another lunch break. For the record there are excellent toilets here. The pier at Kilcreggan was the next target but the beach there looked rough at th low tide so we went a couple of hundred metres up to a small sand beach. The ice cream from Kilcreggan was excellent. Another prolonged break for sun bathing and then on for the final leg into the wind. It was not as bad as feared;slowing us down but not producing any significant roughness and all coped well. 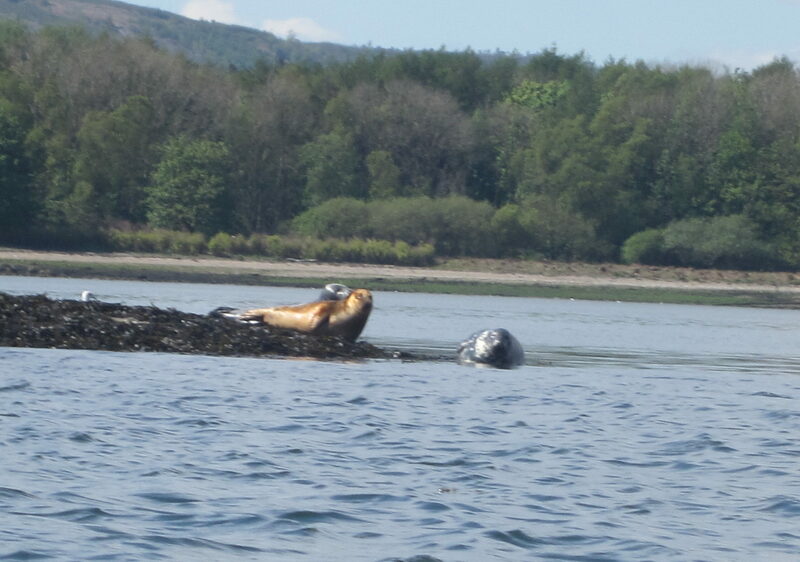 The final paddle up the Gareloch was beautiful with the seal colony by Green Island doing their bit in the entertaining business. This proved to be an excellent day in potentially unfavourable conditions and a very familiar route to some was completely new to others. The upper Clyde together with Loch Lomond provides some of the best kayaking in the country and we are indeed very fortunate.